2. April 2018. 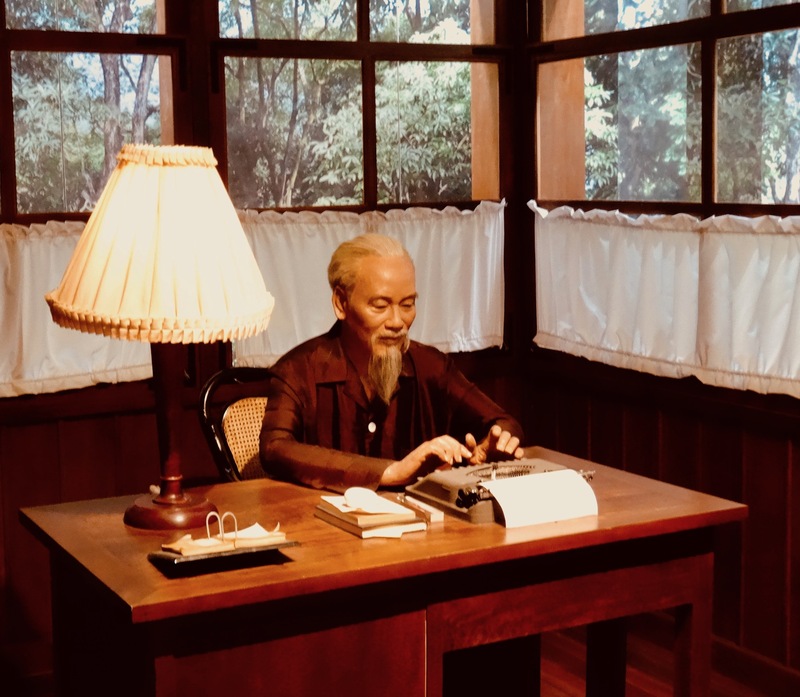 The museum is an intricate chronicle of the great man’s life, with sections covering his hometown, upbringing and world travels, before the juicy business of founding The Vietnamese Communist Party and his quest for independence. An exhaustive (rose-tinted-glasses) overview of his years in power follows before the concluding segment on his final days. 3. April 2018. Rest assured there are artifacts aplenty to sink your teeth into and, in most cases, English captions are attached to help you make sense of what you’re looking at. 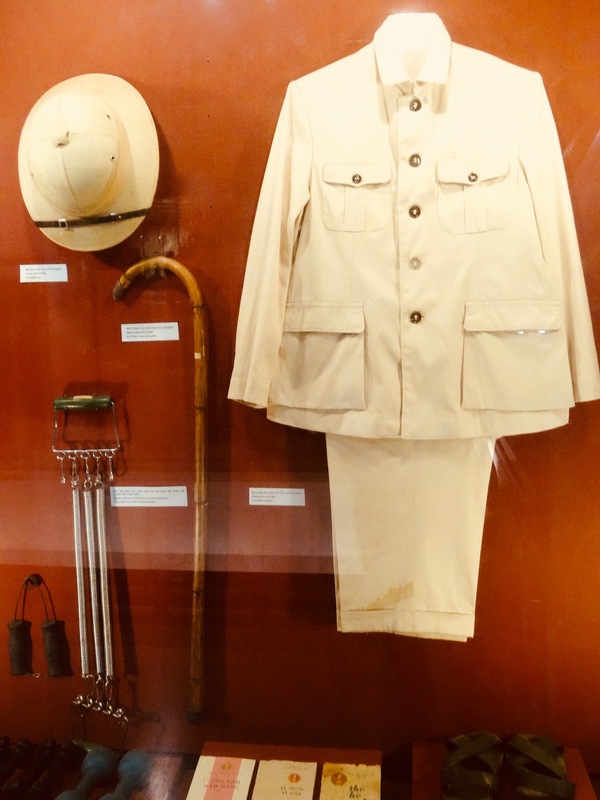 One of my favorite spots was this display featuring his old hiking outfit, including chest expander and rattan walking stick. 4. April 2018. There are a million and one wonderful old photographs to enjoy. 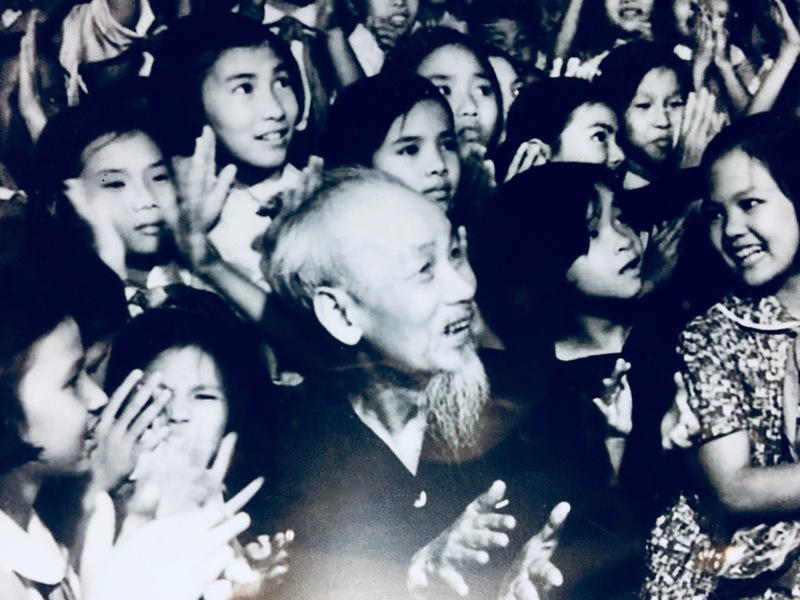 This one, taken in 1968 under a year before he passed away, shows him enjoying a children’s musical performance in Hanoi. 5. April 2018. Note that entrance to the museum is ‘not’ included in the general complex ticket (40.000VND £1.30/€1.50/$1.75). You’ll need to pay an additional 10.000VND (£0.32 €0.37/$0.440) and plan accordingly around the funny opening hours. In the summer doors are open from 07:30-11:00 & 13:30-16:00, while in winter it’s 08:00-11:00 & 13:30-16:00. The complex is closed Mondays and Friday afternoons. 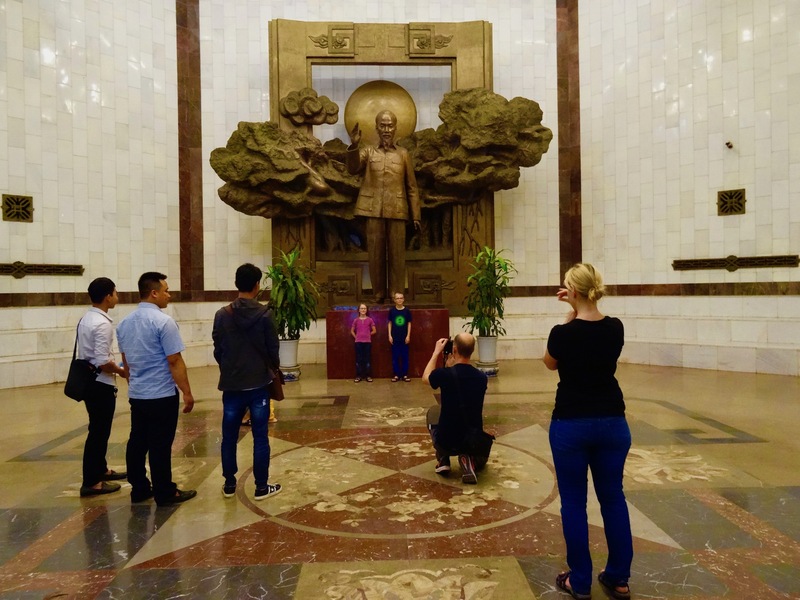 This is just one of three sections of the Ho Chi Minh Complex, so why not also take a look at My 5s on Ho Chi Minh Mausoleum and Ho Chi Minh Complex. For more on Vietnam’s amazing capital, check out more My 5s from around Hanoi. a real good overview and summary, thank you! Hey, thanks for taking the time to comment! Hope you enjoy my other articles on Hanoi. We are also enjoying your other articles of China, especially! Thanks! Actually, I have a long list of old China trips that I still want to write up and make into My 5s. When I’m finally finished publishing my Vietnam articles I will try to post more of these Chinese adventures. So much to do and not enough time! 😉 Thanks again for your continued support and please do share my website and articles with any of your Chinese friends who might be interested in reading a “laowai” perspective of travel in China. Looking forward for the articles of China!